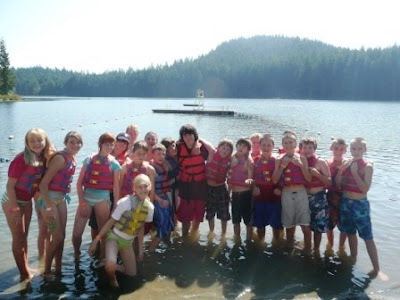 CYO Outdoor Ministry: Swim Across the Lake! It is pretty hot here at Hamilton and we are all being very mindful to drink lots of water and wear sunscreen. Here's a photo of the first Swim Across the Lake of the summer. We're having tons of fun and we'll see you tomorrow! Great weather for a swim across the lake! Hope it cools down at night for you a little.